CLAY COUNTY, Fla. — A local man was arrested Thursday in connection to a traffic crash that left an elderly couple dead in May of this year. The Florida Highway Patrol reported that Sherman Calvin Braswell, 26, of Middleburg, is charged with running a red light, driving while his license was suspended/revoked, and driving a motor vehicle without insurance. On May 19, a pickup truck driven by Braswell ran a red light going southbound on US-17 in Fleming Island and collided with a Toyota Camry trying to cross the street, according to Sgt. Bryan with FHP. Both victims who died were in the car that was hit by the truck, according to FHP. The victims in the Camry were identified as Louise Lyford Nee, 73, and Martin G. Nee, 74, of Orange Park. Braswell has been booked into Clay County jail. He is being held on $5,002 bond. 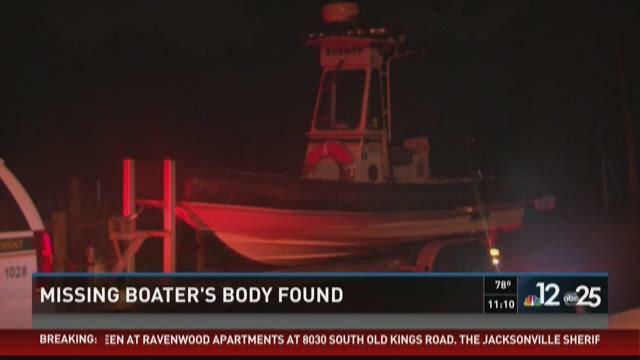 MIDDLEBURG, Fla. — The body of a missing boater that was originally called in as a drowning in Black Creek was found Friday afternoon, according to Florida Fish & Wildlife Conservation Commission spokesperson Karen Parker. The missing boater was identified Friday as Vincent Testa, 27, of Jacksonville, Parker told First Coast News. Testa and friends had gone out boating when at some point, Testa, who was hanging onto the side of the boat, fell into the water, witnesses said. He was not wearing a life jacket and never surfaced, FWC reports. Update, 2:43 p.m.: County Road 218 is now open to traffic in both directions. MIDDLEBURG, Fla. -- A two-vehicle crash in the Lake Asbury area Friday morning sent at least four people to the hospital and halted traffic on County Road 218, authorities said. According to the Florida Highway Patrol, the crash was reported about 11:15 a.m. on CR 218 near Henley Road between Middleburg and Green Cove Springs. FHP says there are injuries. Scanner traffic suggests multiple victims were flown via Life Flight to UF Health Jacksonville. Initial reports suggest one of the victims had to be cut out of a pickup truck after striking another vehicle head-on. We'll update this developing story as we learn more. 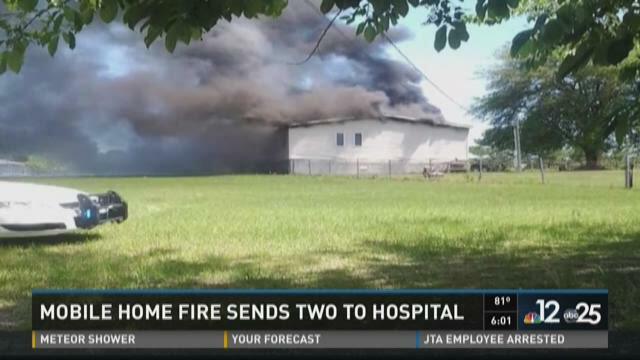 MIDDLEBURG, Fla -- A fire that broke out at a Middleburg mobile home Wednesday has claimed the lives of a 91-year-old woman and three pets, and put another person in the hospital. Clay County Sheriff's spokesperson Mary Justino toldFirst Coast News the fire started on Nighthawk Lane in a rural part of Middleburg. On Thursday morning, Catherine Johnson succumbed to her injuries in the hospital, Justino said. Johnson had initially escaped the fire but went back inside to retrieve her belongings and was injured in the process, according to CCSO.